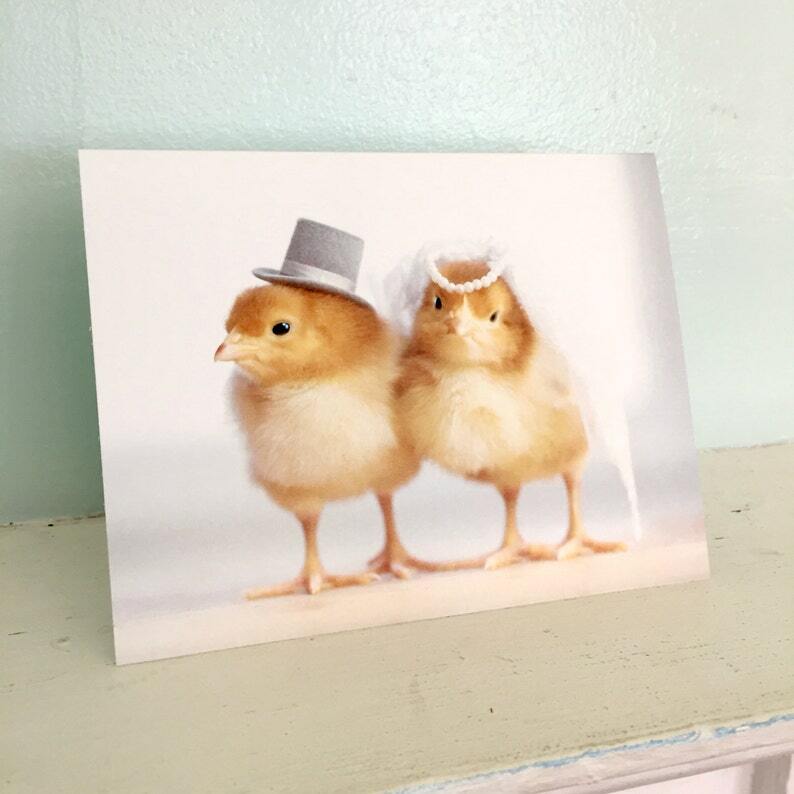 Chicks in Hats folded note card, with the image of two chicks in wedding hats on the front. Totally awesome. I love this card. Perfect for wedding anniversary! So cute and quickly shipped! Perfect card for my son's wedding in March. Thank You!